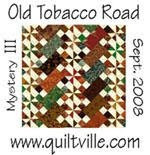 I have wanted to make a rag rug for a long time. 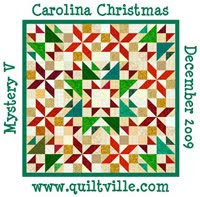 I finally took a class at People, Places and Quilts in Summerville, SC. I found out how to prepare my scrap fabric and was re introduced to crochet. Which I havent dont in years. Here is my 1st ball of scraps. It is bigger that a softball but not as big as a soccer ball. I dont know how much fabric it is because it is scraps. 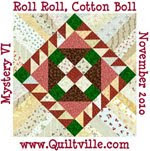 A great way to use up those long sides from the backing of quilt. Nice and long. And here is my 1st rug. It is not finished. It is 23 in by 13 inches. I have another ball about the same size to add to it. That should make a nice size by the back sliding glass door. Where no one wipes their feet, including Patch the Wonder Dog. I had an aunt that made these kind of rugs. Your first try turned out great! Vicki, you just gave me an "ah-ha!" moment! Get the fabric for these rugs from the sides of backing fabric...duh! I, too, have been wanting to make some rugs and recently purchased a rug braiding tool, so this is perfect. My aunt has several looms that she makes them with, and on occasion I've been the lucky recipient. However, since I want to remain focused on quilting I haven't purchased any other weaving products, and crocheting hurts my tennis elbow.